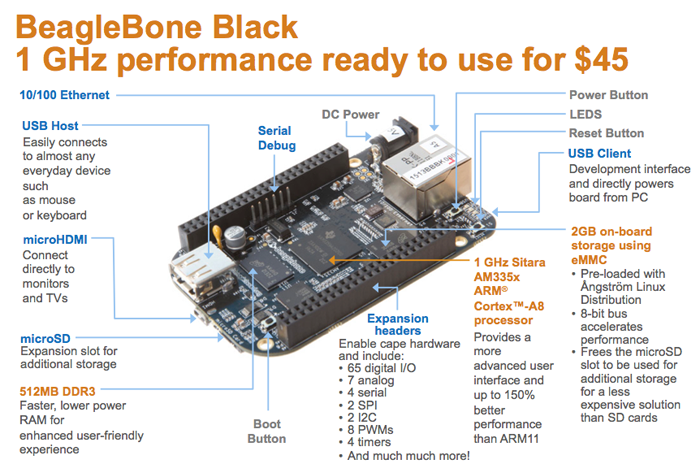 As a new open hardware star from BeagleBoard family, BeagleBone Black is coming! It's a credit-card sized but high performance embedded computer, carrying a powerful 1GHz ARM Cortex-A8 processor, armed with abundant but necessary I/O, and fabulous maker-friendly Interface. 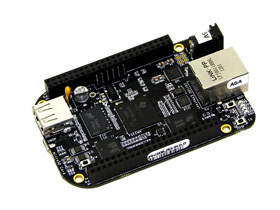 This ultra-powered BeagleBone Black features its HDMI, 512MB of RAM, 2GB onboard storage using eMMC. 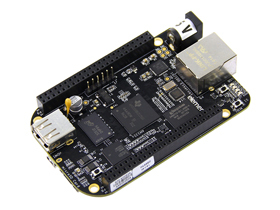 Compared with other developing platforms, BeagleBone Black is focusing on higher expansion, lower cost and more developed operation ecosystems, providing an easier access to software and tools. OS such as Linux/Android/Ubuntu are supported, Its industry standard interface and a set of toolboxes build up fancy bridges to your projects. 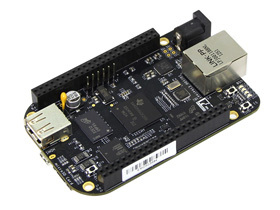 Help yourself explore the way to your mind blowing products with BeagleBone! PCB: 6 Layers, 3.4" x 2.1"
button, Expansion Board ID, (Up to 4 can be stacked). Are you selling the A5C yet? Is it still REV A5A?